On Tuesday, Nov. 3, Columbia Records and Twentieth Century Fox Television will release “Glee: The Music, Volume 1,” the first in a series of soundtracks that feature some of the music heard in the first season of the critically acclaimed series premiering Wednesday, Sept. 9 (9:00-10:00 PM ET/PT) on FOX. 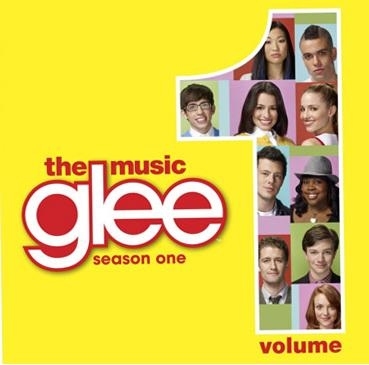 “Glee: The Music, Volume 1” will feature spectacular renditions of several chart-topping hits, including Queen’s “Somebody to Love” and Neil Diamond’s “Sweet Caroline.” (See below for full track listing). GLEE has been heralded for its high-spirited musical numbers, incredibly talented cast and infectiously witty writing. A special preview episode of GLEE aired in May on FOX and sparked a frenzy of praise from critics and fans alike. The cast’s incredible version of Journey’s “Don’t Stop Believin’” immediately shot right to No. 1 on the iTunes charts (click here for iTunes Stores). To see your favorite performances and more from the preview, tune in to a special director’s cut of the pilot Wednesday, Sept. 2 (8:58-10:00 PM ET/PT) on FOX. Performances in the upcoming season premiere include “Gold Digger” (Kanye West), “Push It” (Salt-N-Pepa), “Take a Bow” (Rihanna), “I Say a Little Prayer” (Burt Bacharach), “Le Freak” (Chic) and “All By Myself” (Eric Carmen). After the season premiere debuted at Comic-Con 2009, the Los Angeles Times reported “…the reception was enthusiastic. That was especially true for two musical numbers, covers of Kanye West’s ‘Gold Digger’ and Salt-N-Pepa’s ‘Push It,’ which became a showstopper in the episode.” The Examiner went on to champion another performance from this screening saying Lea Michele “brought the curtain and the house down to deafening applause” with her version of Rihanna’s “Take a Bow.” Select tracks from each episode will be available for purchase on iTunes and other digital retailers on a weekly basis. GLEE follows an optimistic teacher, WILL SCHUESTER (Matthew Morrison), who – against all odds and a malicious cheerleading coach – attempts to save McKinley High’s Glee Club from obscurity, while helping a group of aspiring underdogs realize their true star potential. It’s a tall order when the brightest stars of the group include KURT (Chris Colfer), a soprano who hits a high note in fashion; MERCEDES (Amber Riley), a larger-than-life diva with a voice to match; ARTIE (Kevin McHale), a geeky guitarist who rocks and rolls; and TINA (Jenna Ushkowitz), a punk rocker who hides behind her stutter and blue hair extensions. Will’s only hope lies with two true talents: RACHEL BERRY (Lea Michele), a self-proclaimed star who is convinced that MySpace and show choir and are her tickets to fame; and FINN HUDSON (Cory Monteith), the popular high school quarterback with movie star looks who must protect his reputation from his holier-than-thou girlfriend and “Cheerios” head cheerleader, QUINN (Dianna Agron), and his arrogant football teammate, PUCK (Mark Salling). Will is determined to do whatever it takes to make Glee great again, but his only ally is fellow teacher and germaphobe EMMA PILLSBURY (Jayma Mays). Everyone else around him thinks he’s nuts – from his tough-as-nails wife TERRI SCHUESTER (Jessalyn Gilsig) to McKinley’s scheming cheerleading coach SUE SYLVESTER (Jane Lynch) – but he’s out to prove them wrong. Glee's Hulu Channel: Including the pilot episode and various promotional, music and promo clips from the cast!